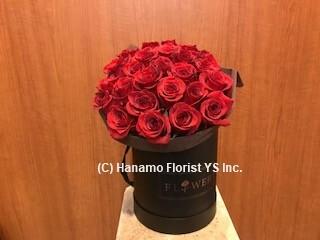 ROSE211 24 Red Roses in a Box (hat box) - photo shows 24 [ROSE211] - $159.00 : Hanamo Florist Online Store, Vancouver, BC, Canada, Quality arrangements using a plethora of the freshest flowers. 24 premium Red Roses handtied in posy bouquet, comes in a specially designed hat box. Rose Bouquet are approx. 16 inch tall. 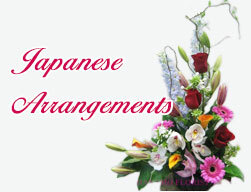 A vase is offered in additional charge of $20.00+ tax.